How is this possible?! 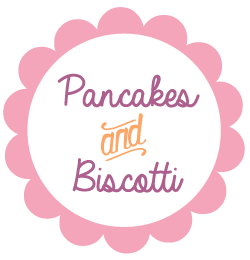 After all, this is not a blog that shies away from sweets -- on the contrary! 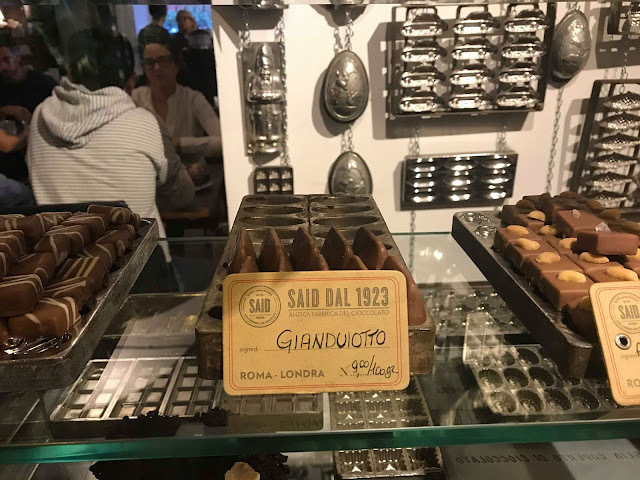 Having said that, Rome is far more renowned for its bucatini all'amatriciana or its suppli' than it is for its desserts. 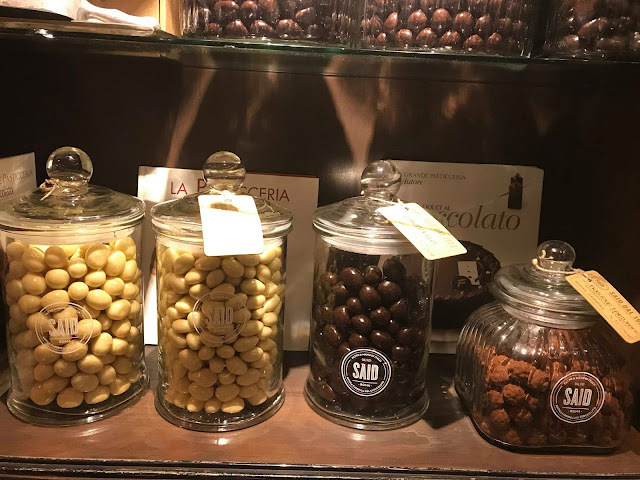 Unlike Naples or Sicily or Torino -- places in Italy famous for dolci, everything from babà al rum to cannoli to bonet -- Rome has no characteristic dessert, no signature end to a meal. Eager to get to the bottom of this matter, I went straight to my culinary guru, the all-knowing, ever-so-wise Carla Tomasi, who, as I predicted, had an answer to my query. 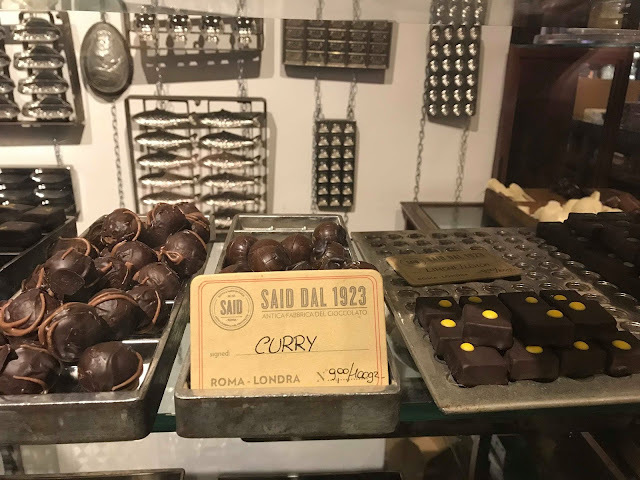 Carla explained that Rome had never had a court, and therefore, a "court cuisine" never developed in the city; Rome had a Pope, sure, but was never occupied by a ruling family like the Bourbons (Naples) the Medici (Florence) or the Savoia (Piedmont region). According to Carla, a more elevated cuisine, complete with desserts, developed in Italy when in the presence of nobles. Interesting indeed. Ahh, Charlotte! 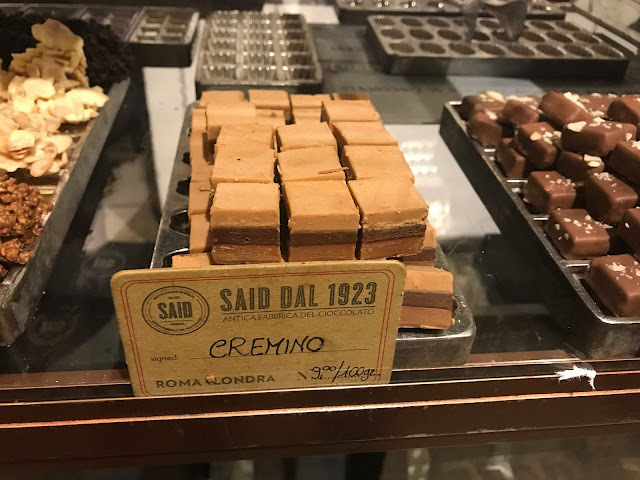 This pasticceria -- located just a short walk from the Re di Roma metro stop -- is not only my favorite bakery in Rome, its also one of my very favorite places in the capital all together. 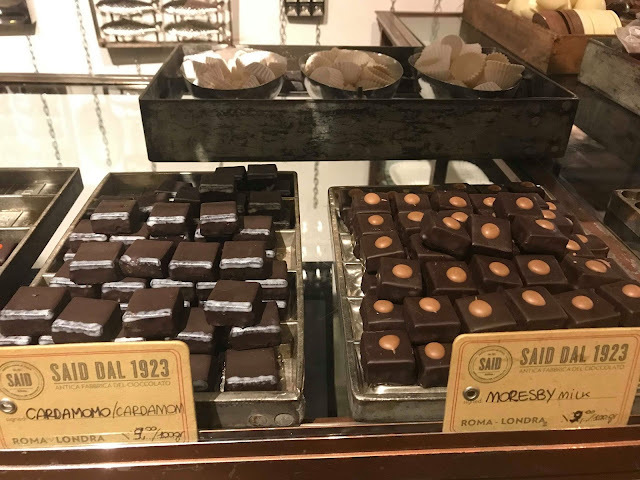 The desserts are not typically Italian -- you'll find everything here from cookies to cheesecake -- but appreciated all the more by an American like myself. 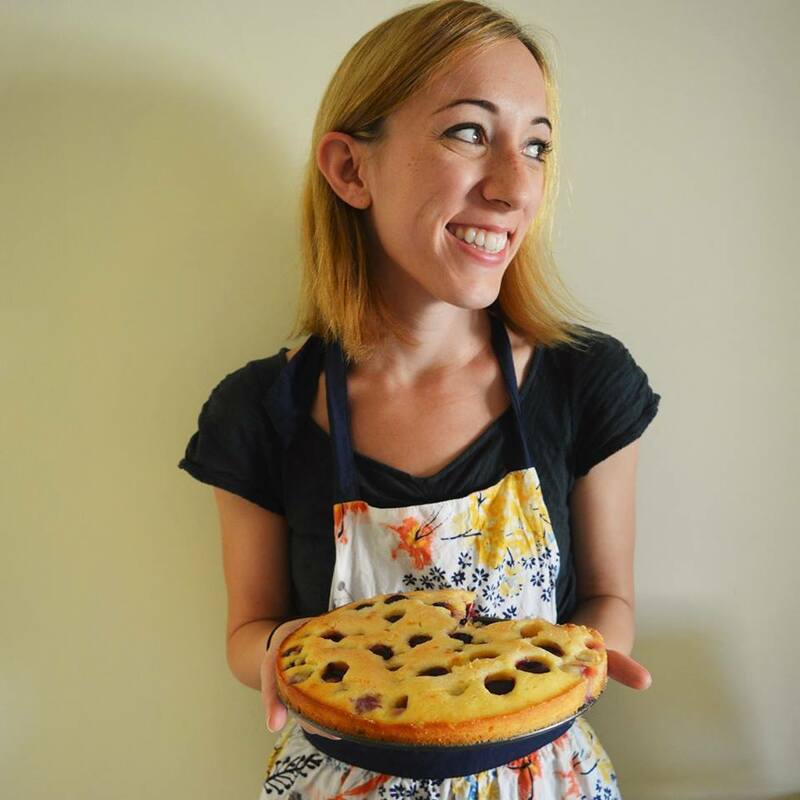 The pastry chef is Claudia Martelloni, who is purely self taught (no formal training!!!) which is downright remarkable when you see what she is capable of. 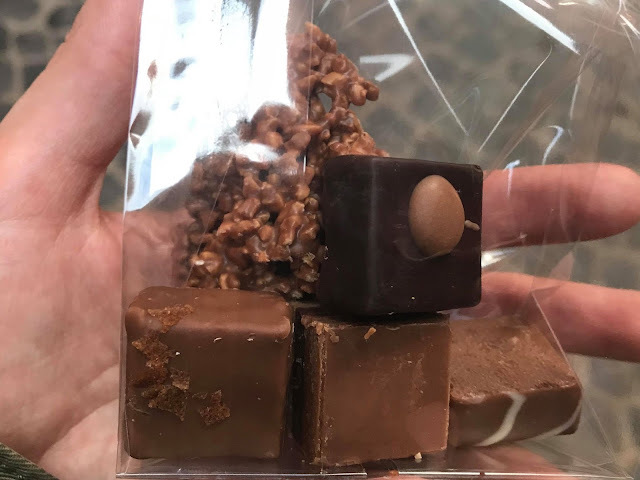 Highlights include, but are not limited to: the Snickers, or rather a dark chocolate brownie, topped with caramel, covered in a crunchy milk chocolate peanut shell, and garnished with peanut butter cream; the Tiziana, or milk chocolate and dark chocolate mousses with a raspberry center, covered in chocolate, with a crisp hazelnut cookie base; and their individually portioned cheesecakes, which are too pretty to eat and change according to the season. 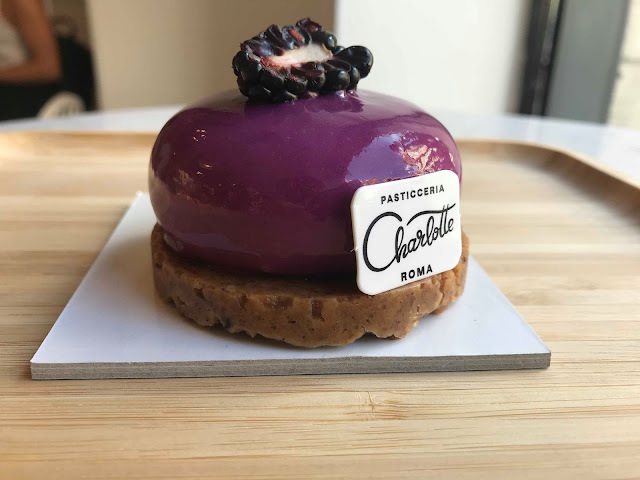 Charlotte also serves some of the best tiramisu I've ever had, plus a variety of brightly colored, incredibly tasty macarons, salted caramel chocolate cookies, and a variety of tiny, perfect tarts (lemon meringue is my favorite). Number one on my list: Claudia takes whatever fruit is in season (everything from pears to figs to apples) and recreates them as dessert. 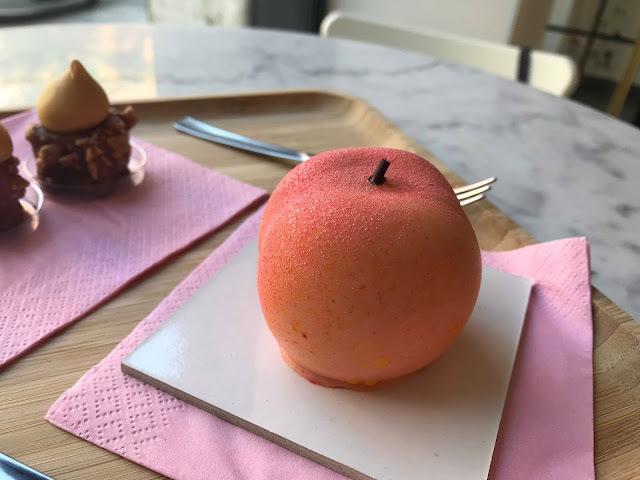 What seems like an apricot (pictured below) for example, is actually vanilla mousse with a jammy apricot center, encased in a white chocolate shell masterfully decorated to look just like an apricot (click here to get the full effect). I can't say enough good things about this place. Bonus: Charlotte sells big take away cups of American-style coffee, if that's your thing; the staff couldn't be nicer. Fun fact: Charlotte is named after Claudia's adorable King Charles Spaniel, the bakery mascot. Credit for a few of the photos below goes to Charlotte. 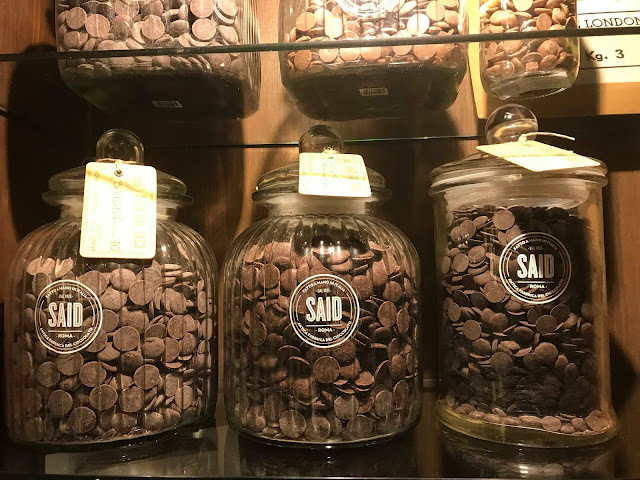 Opened all the way back in 1923 by a family of chemists -- who decided to making chocolate instead of medicine -- S.A.I.D is a chocolate lover's dream come true; it's like a chapter of Charlie and the Chocolate Factory come to life; it's all you've ever wanted any more. 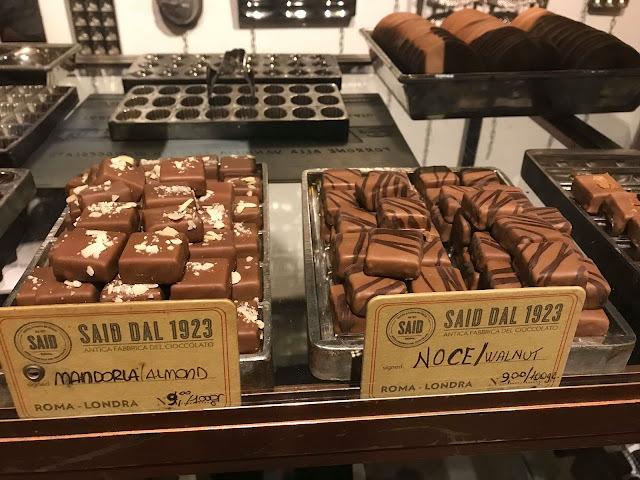 At S.A.I.D (pronounced SAI-EED) you'll find chocolate cake, brownies, cookies, truffles, and chocolate spread in a variety of flavors; they sell everything from the classic Italian gianduiotti and cremini to more creative chocolates made with cardamom, curry, or even black tea and mint. 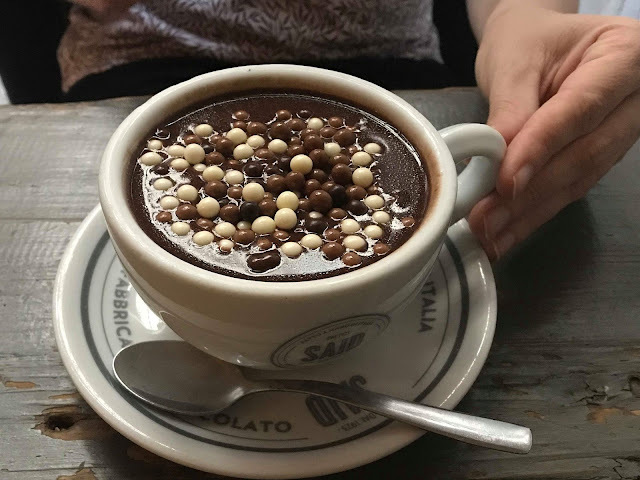 The standout for me, though, is the hot chocolate -- S.A.I.D serves up cioccolata calda, or hot chocolate, Italian-style, thick and rich and served with a spoon, made with either milk chocolate or dark chocolate. It is stellar, deliciously cozy, and just what you want on a cold December day. 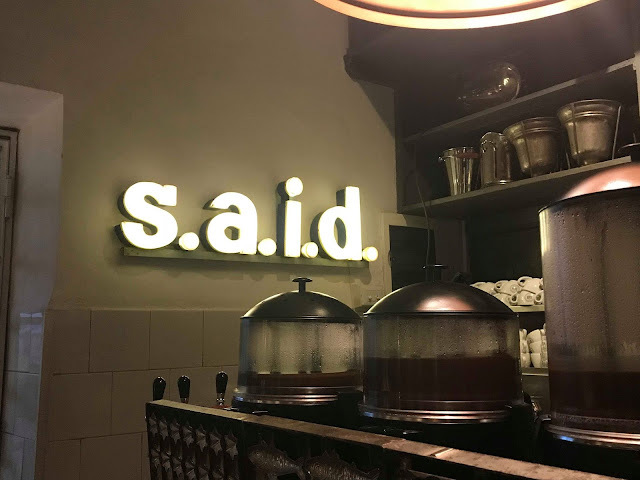 Fun fact: S.A.I.D stands for S.A.I.D, or Societa' Anonima Industria Dolciaria, or rather the anonymous confectionery factory society (not sure what the story is behind the "anonymous" bit but it sounds mysterious). Bonus: Some of the old machinery used in S.A.I.D's early days are on display inside the shop. 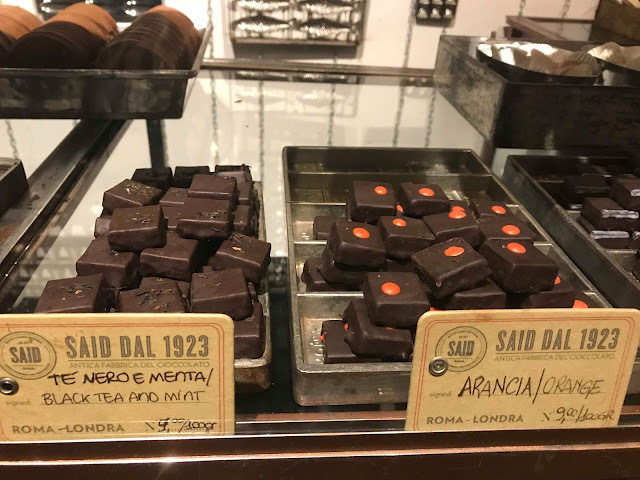 Remember what I said at the beginning of this post, about how Rome sort of did have a characteristic dolce of its own? 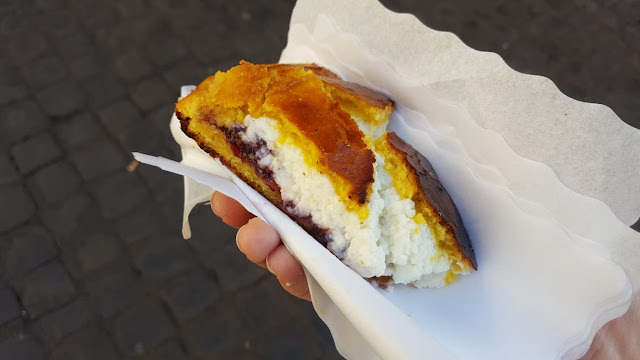 That would be the maritozzo, which, while more breakfast pastry than dessert, definitely falls into the "sweet" category. Maritozzi are light, yeasted buns (sometimes with the addition of pine nuts, orange zest, or raisins) that are brushed with a sugar syrup once out of the oven, then split and stuffed with freshly whipped cream (drooling yet?) 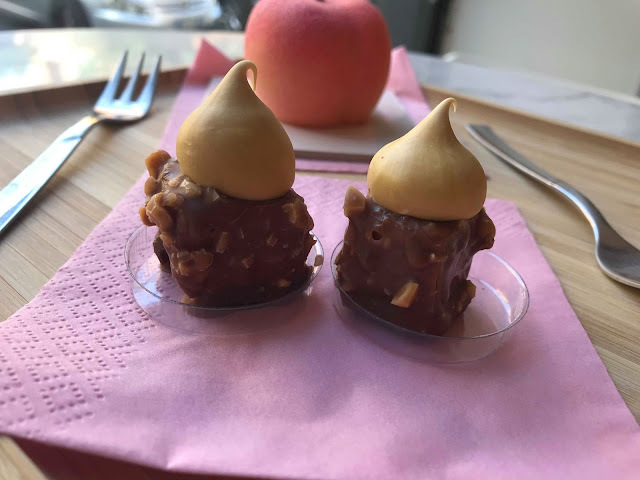 The best maritozzi in the city come from Il Maritozzaro, a place that, as the name suggests, takes maritozzi quite seriously. 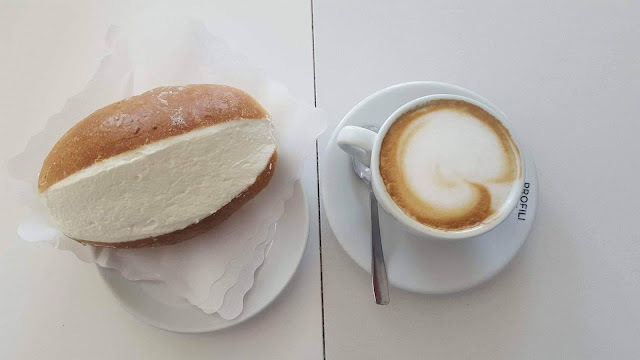 The maritozzi sold here are freshly baked, plain, with no raisins or nuts or extra flavorings; the cream is fluffy and cloud-like and piled very high, making for the very most opposite of a light breakfast, but oh-so-worth it. Be warned, however: Il Maritozzaro can sometimes be a bit unpredictable, in terms of hours and, um, being open; I have gone before to find it closed (?) for no reason at all. As a word of advice, try calling before you go to make sure you will actually be able to get your maritozzo fix. Bonus: Il Maritozzaro is run by identical twins, Mauro and Emilio Agostini, the coolness of which is note lost on an identical twin like myself. Fun fact: Wondering where that weird name comes, from, by the way? My Maritozzi 101 studies taught me that the name maritozzo comes from the word marito, which means "husband" in Italian. 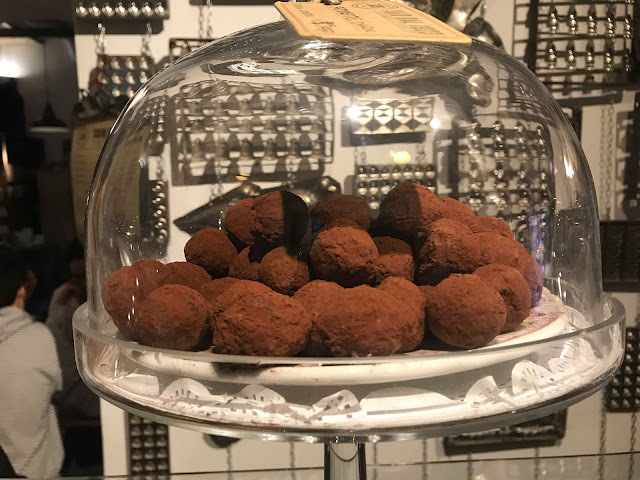 Legend has it that way back in the day, Italian men offered these treats to their fiancees on the first of March, or what we now celebrate as Valentine's Day. 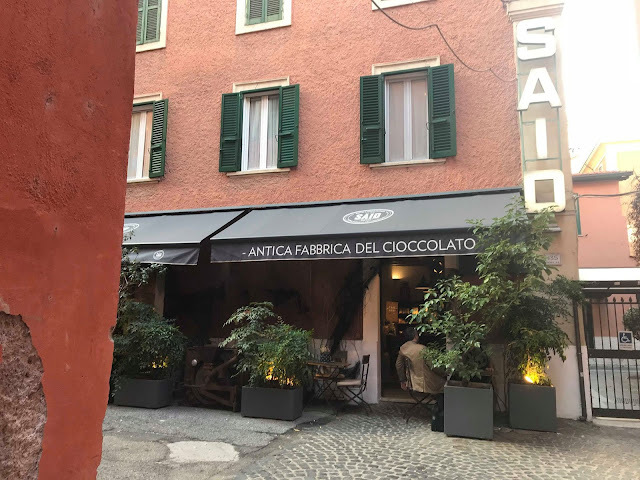 Located in the picturesque, postcard-like neighborhood of Trastevere, this cookie shop -- a family business, run by four generations of women in the Innocenti family -- sells the best biscotti in the capital. Now: if you're looking for cookies that are buttery, fudge-y, or slightly under-baked (I'm looking at you, fellow Americans!) then you're in the wrong place. Biscottificio Innocenti sells cookies done the Italian way, i.e crisper and on the lighter side, meant to be dipped in tea or even acceptable at breakfast, and I love them for it. 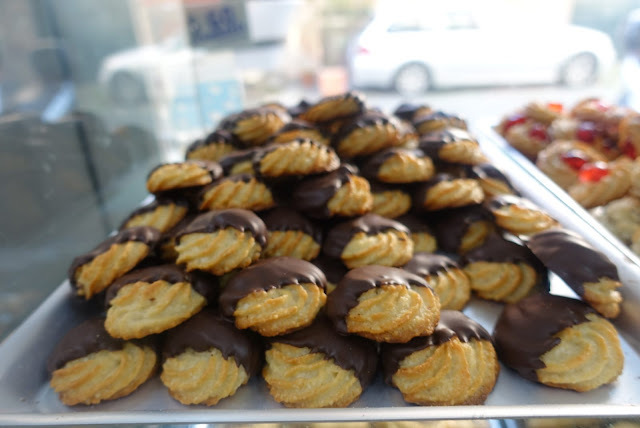 Here you'll find everything from delicate sandwich cookies (filled with Nutella or jam) to super lemon-y limoncini to feather-light meringues to vanilla cookies dipped in bittersweet chocolate. The cookies at the top of my list, though? 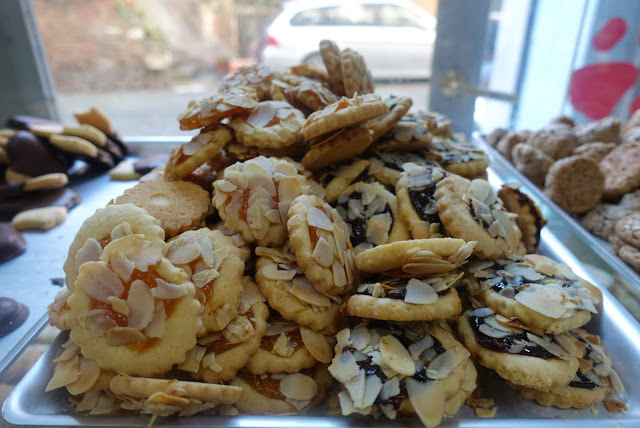 Brutti ma buoni, or crispy, chewy, meringue and hazelnut cookies that don't look like much (the name translates to "ugly but good") but are downright divine. 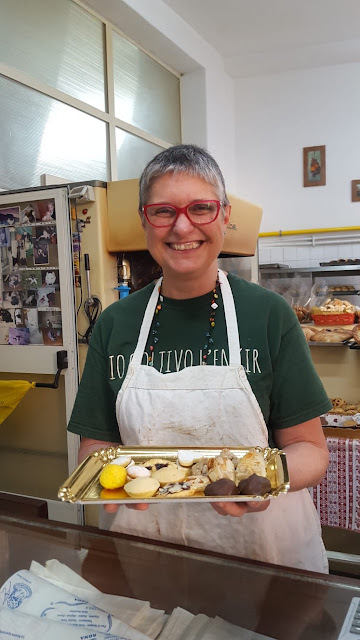 Bonus: the owner and head baker at Biscottificio Innocenti -- Stefania -- is one of the sweetest, loveliest people you'll ever come across. Fun fact: The huge oven you'll see in the cookie shop goes all the way back to the 1950s (it was purchased by Stefania's mother). It was a huge investment for the time, costing almost as much as an apartment would, but one that certainly paid off. 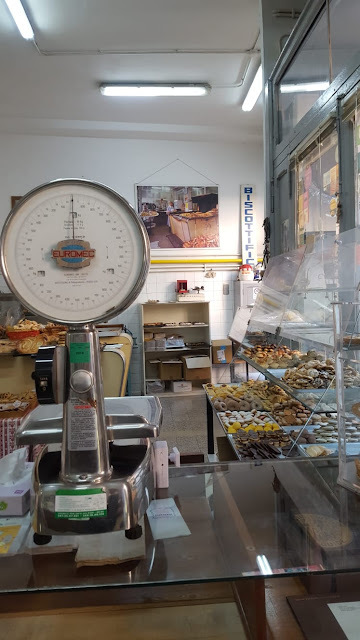 Head to Rome's Jewish quarter (ghetto ebraico) and -- if you look closely, there's no sign on the door -- you'll find Forno Boccione, a Jewish bakery that makes a show-stopping crostata di ricotta e visciole, or ricotta and sour cherry pie. 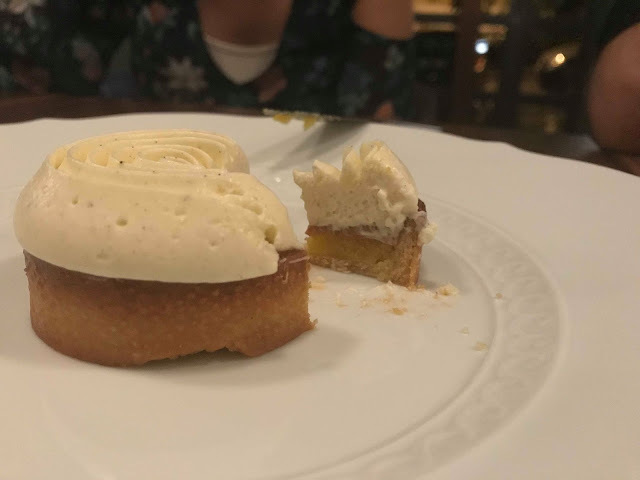 A little research told me there are many ways to make this dessert, but I think that Forno Boccione has it down to a science: the pie is sliced into generous slabs, not elegant slices -- they're not messing around here, guys -- with a tall, just sweet-enough ricotta filling. The cherries are cooked until soft and jammy, and contrast beautifully with the flavor and color of the ricotta. Note that the shade of pies' exterior can vary from deep golden brown to nearly burnt; never fear! Forno Boccione believes this extra bit of cooking adds to the flavor of the finished crostata, and I'm apt to agree; even when so dark in color, the pastry remains crumbly and eggy and slightly caramelized, and the whole thing is a real treat. 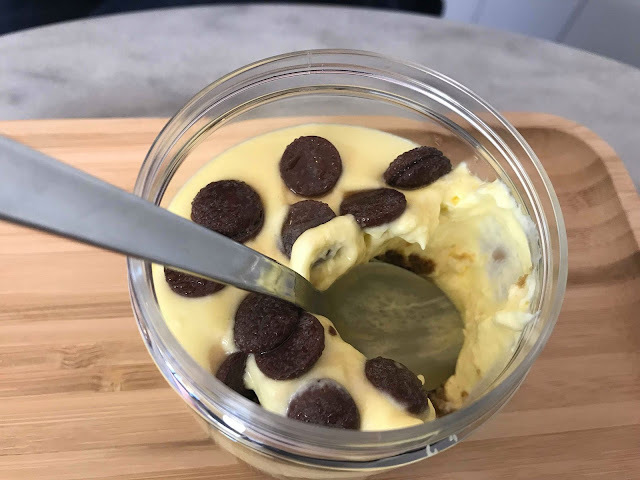 Bonus: I desperately want to try and create this dessert at home; stay tuned for a recipe. 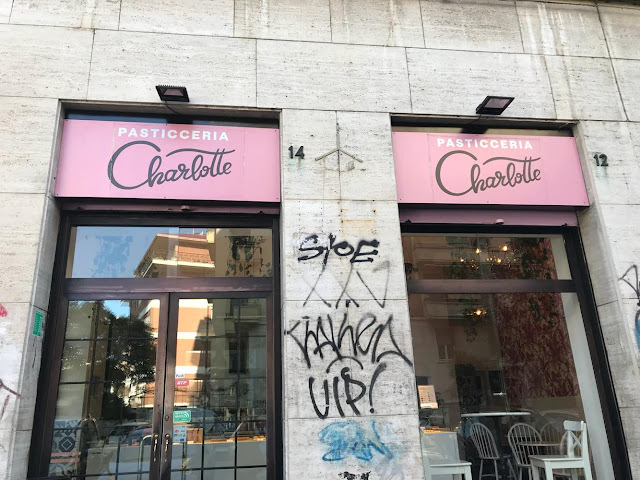 Fun fact: If you'd like a side of history with your cake, the Forno is right near the Portico d'Ottavia, a structure built by the emperor Augustus in around 27 BC; the portico was restored a little over a year ago. 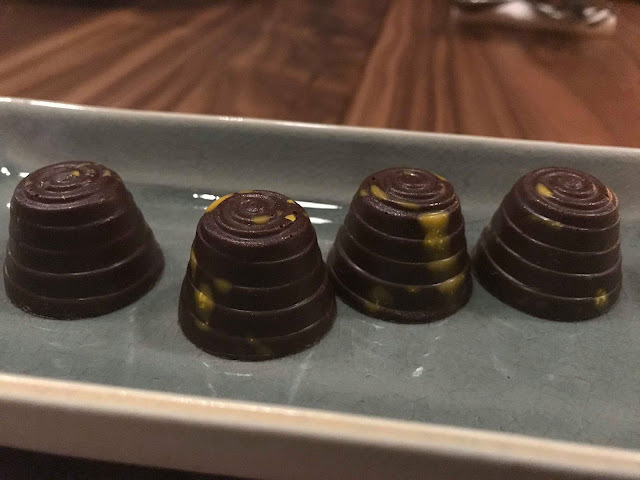 Unlike the other selections on this list, Zia is not a bakery or a cookie shop or a chocolate factory, but rather a restaurant, and a spectacular one at that. 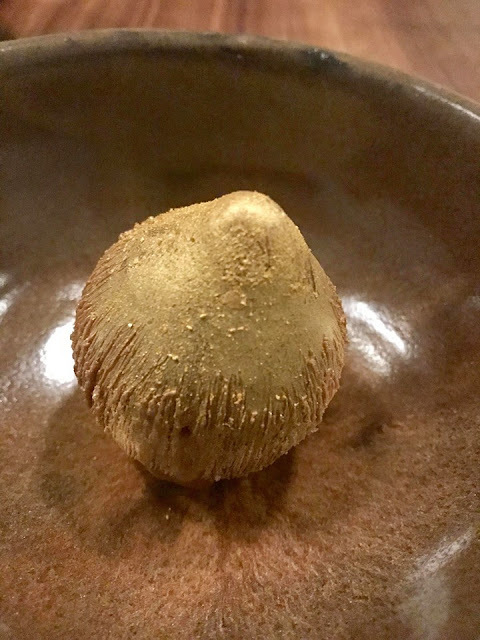 The dishes at Zia are creative, beautiful, and delicious -- in that way where a telltale hush falls over the table as all parties take their first bite -- and the desserts are no exception. 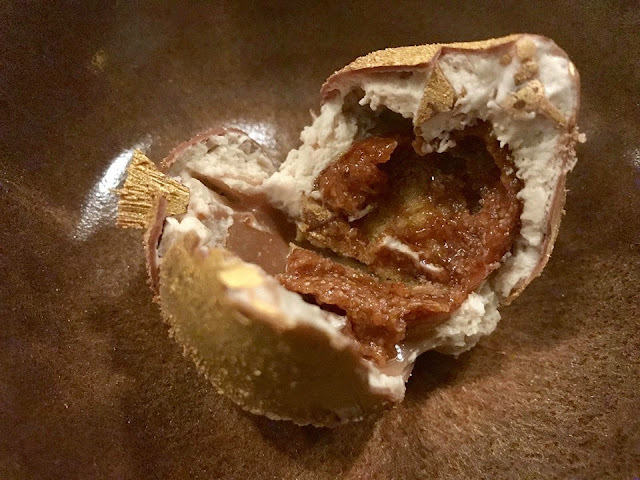 Zia's incredibly talented pastry chef Christian Marasca is responsible for desserts like the the Nocciola (hazelnut) which consists of hazelnut mousse, vanilla caramel, and praline and hazelnut cookie, all encased in a milk chocolate shell finished off with edible gold dust; the Tourbillon (whirlpool) or a buttery, swirly, intensely vanilla-y tart; house made chocolates; or Risolatte with cherries and black garlic, a fancier take on the typical rice pudding, complete with a crackly brulee shell to dig in to. 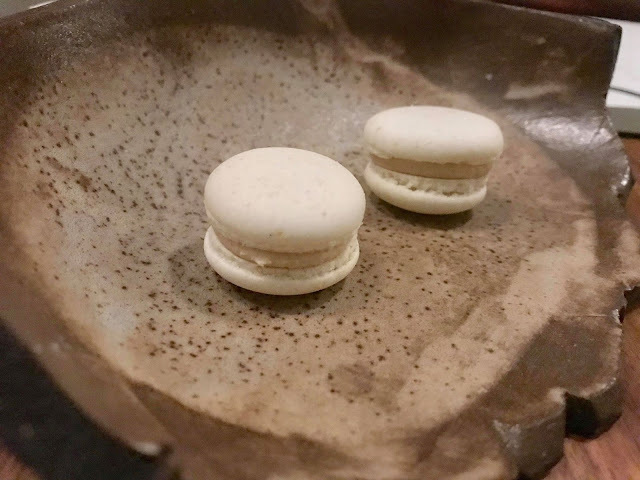 More on the savory side, but still not to be missed are the foie gras macarons that are served at the start of the meal. You can see Christian (who, by the way is all of 25 years old) placing the finishing touches on the Nocciola here; take a look at the final stages of the Tourbillon here. Bonus: The staff are some of the nicest, most accommodating people you’ll ever meet. Fun fact: Christian is an expert not only in pastry but also in American barbecue (!!!) You can check out his work here.